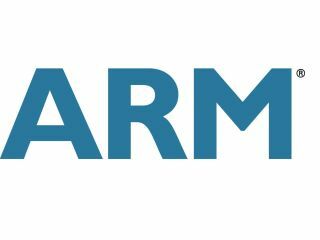 ARM is finally seeing long term licensees turn its designs into key products, with the company's latest financial results boasting about recent deals with Broadcom and Korean giant LG. The news that LG had sealed a deal with the British tech giant broke this week, and ARM will be looking forward to seeing more of its offerings in the company's products. When that happens it will be joining 1.15 billion ARM-processors shipped in mobile devices and 700 million in other devices – like TVs, disk drives and microcontrollers. On top of this, several 'major semiconductor companies' developing chips for set top box and televisions have licensed ARM technology – which could lead to some interesting future products. "Influential market leaders are licensing ARM technology to gain access to a growing ecosystem of operating systems, software applications, tools and service providers, said CEO Warren East. "Many of these companies have been ARM licensees for many years, and are now deploying ARM technology across a multitude of applications; in mobile, consumer electronics and embedded devices. "This licensing drives ARM's long-term royalty opportunity. Shipments of ARM-processor based chips increased 33% on the same period last year driven by growth in smartphones, tablets, digital TVs and microcontrollers. "ARM's revenue growth enables us to continue to invest in innovative technology development at the same time as delivering strong increases in profits and cash flow."